Middlweight Robbie Chapman claims he is beginning to peak as he gets ready to fight for the second time in his career this weekend. 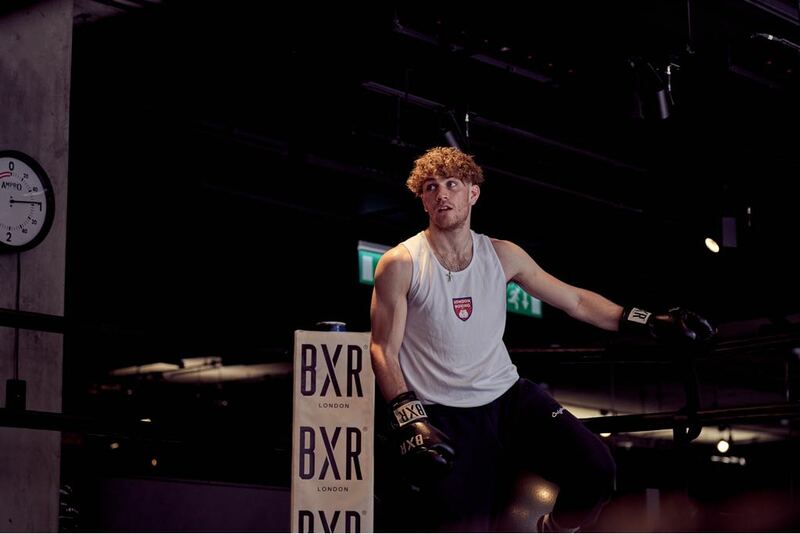 The ‘Camden Caretaker’ is set to appear on the hotly anticipated Goodwin Boxing show in Tottenham as he takes on Callum Ide across four rounds. He is currently part of the impressive Xavier Miller stable under ‘IQ Boxing’ in Neasden in which his current stable-mates include the likes of Kian Thomas, Dennis Wahome and Jerome Campbell. After a promising amateur career he turned professional with trusty Southern small-hall king, Steve Goodwin and his stable of boxers. And Chapman – who balances his training with working full-time as a school caretaker – reckons the learning from his first camp has resulted in a better an even better performance come Saturday. “Training wise, camp has gone really well,” Chapman said. “I feel like I am peaking much better this time round, it’s going to get better everytime and I think the results will be proof of that in the ring. The sparring has been good, I’ve sparred some top talents like Ted Cheeseman and Jordan Reynolds so I am more than ready for Saturday. “My times have all been better than ever and it’s really been enjoyable. Now it’s time to do what I enjoy the most the actual fight. “That’s all I am looking forward to now, experiencing the atmosphere down there, enjoying the other fights on the card and looking forward to the fight. What does Nonito Donaire have left heading into World Boxing Super Series matchup vs. Ryan Burnett?